1950 Pall Mall Cigarettes original vintage advertisement. Guard against throat scratch, enjoy smooth smoking. 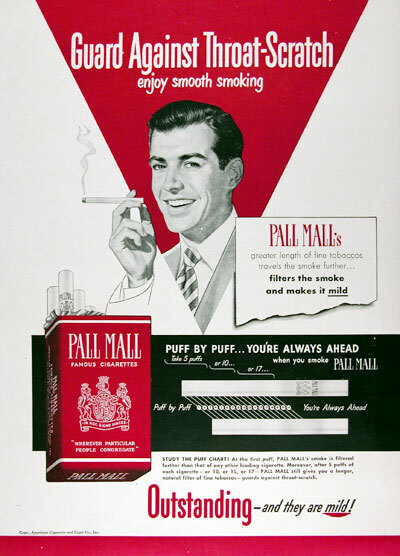 Puff by puff, you're always ahead when you smoke Pall Mall. Outstanding and they are mild!